Goats are being used to clear invasive plants at 1000 Islands Environmental Center in Kaukauna. 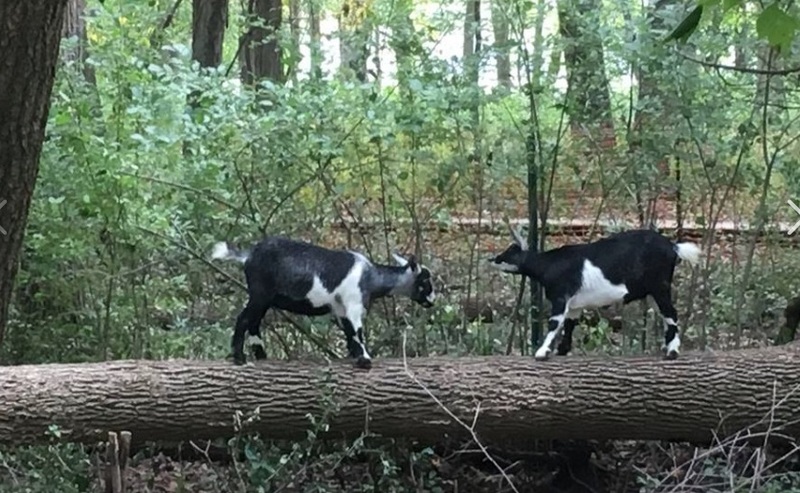 KAUKAUNA — A group of goats are the novel and natural approach to battling invasive plants at 1000 Islands Environmental Center in Kaukauna. The goats are on loan from Mulberry Lane Farm, and 1000 Islands is testing to see how they will work as a way to battle unwanted plants. The goats also have attracted lots of visitors along with national attention. A few tips for those who plan come and watch them work. 1. The goats are “working.” Please limit distractions by staying on the trail/sidewalk, not petting and not giving any food or other handouts. 2. They will be in their browsing enclosure and fairly visible from approximately 8 AM until 6 PM daily until October 5th. These times may vary depending on weather and volunteer schedules. 3. Feel free to ask questions of staff or volunteers while here to learn more about the importance of this test project. 4. Be sure to visit Mulberry Lane Farm to thank them for their support in this project.